With $50,000 on the line, the world’s best CoD teams will compete in front of 12,000 fans in Paris this May. Some of the best Call of Duty teams from around the world will come together in May to participate in the Electronic Sports World Cup CoD Tournament for a shot at global recognition and a piece of the $50,00 prize pool. 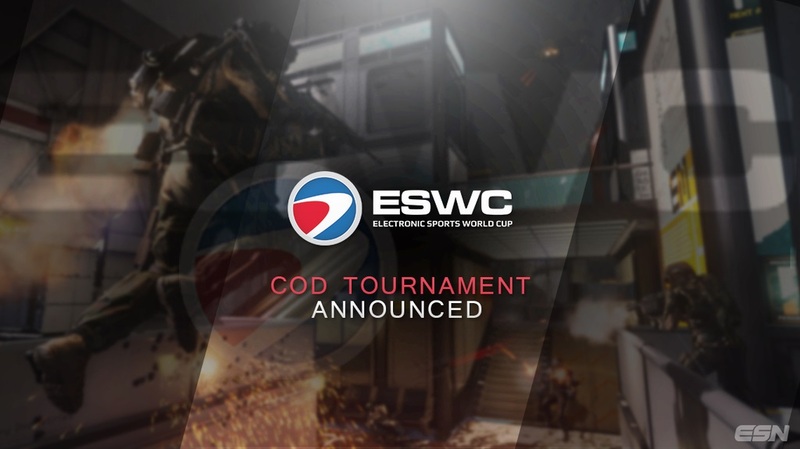 ESWC is using a slot distribution format to find the eight teams who will compete in this historic tournament in Paris. To find diversity, two teams will be chosen through community selection, three through LAN tournaments, one through online tournaments, and two through web registration. The $50,000 prize pool is heftier than the usual payout for competitive Call of Duty events. At the two previous Advanced Warfare tournaments, MLG Columbus and UMG Orlando, the prize pool has been $25,000 total. MLG Columbus offered $10,000 to their victor and UMG Orlando’s winner claimed a $15,000 grand prize. For the teams competing at the eSports World Cup, they will be competing for a $20,000 grand prize and $10,000 for the runner-up. Another interesting facet about the prize pool is the way that ESWC will be divvying up the money. Only eight of the world’s best teams will be competing, and due to the small amount of competing teams, ESWC has decided to award each team for their participation and dedication to the tournament. Third and fourth place finishers will be awarded $6,000 per team, and the squads that finish fifth-place through eighth-place will receive $2,000 each. The new venue used to host ESWC 2015, the Zenith-Paris, seats more than 12,000 excited fans. If the stadium is filled, this will surpass the largest live audience for a competitive Call of Duty tournament in eSports history. With such a monumental tournament on the horizon, there is still time to register your team for a chance to qualify. For all of the information about registering, click here.